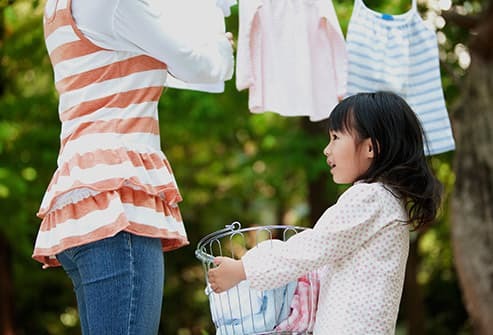 Chores teach kids important life skills and that the whole family pitches in to make the household work. When can they start? Toddlers love to help, so let them! They can: Put clothes in the hamper, wipe up spills, throw trash in the garbage can, put toys in bins, bring items to you, or brush pets. Does 2 seem too young for chores? Actually, it’s the perfect time to start. 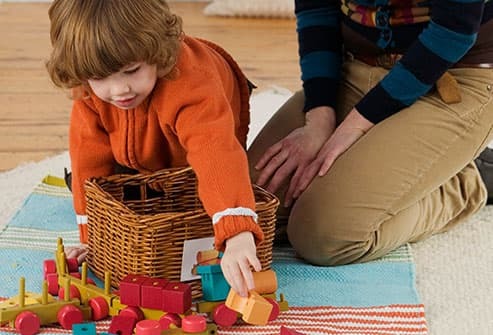 When toddlers complete simple tasks, they feel capable and practice motor skills. Offer lots of praise for their efforts. They can: Feed pets, sort laundry or match socks, bring laundry to the right rooms, set the table with non-breakable dishes, empty small trash cans, or water plants. Preschoolers thrive on feeling needed, capable, and independent. Focus less on the results, and more on getting them involved in household tasks. If they balk, use the when/then technique: When they’ve put the dishes in the sink, then they can go outside and play. They can: Keep pets’ water dishes filled, help make and pack lunch, make their beds (be happy with how it looks, no matter how bumpy! ), wipe down sinks, help put groceries away, collect garbage, or bring trash bins to the curb. 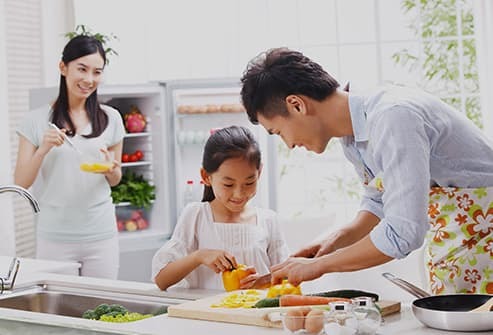 Kids learn how to be responsible and self-sufficient when you give them new tasks around the house. They can do a lot more than you might think. Teach them how the chore is done, and then step back. Ages 8-9: Make It Fun! They can: Do simple food prep, wipe down countertops, set and clear the table, load and empty the dishwasher, fold and put away clothes, replace toilet paper, vacuum, or rake leaves. Housework doesn’t have to be a bore. 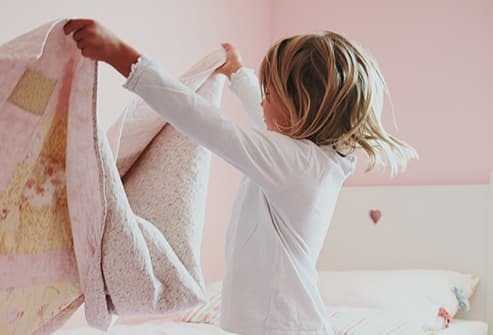 Let your kids play music while they sweep, or set a timer for 5 minutes and see who can fold the most clothes (properly). You can also try apps that let kids earn points and rewards -- decided by Mom and Dad -- for completed chores. They can: Scrub pots and pans, mop, sweep, clean toilets and tubs, carry groceries from the car, or wash the car. Have kids choose a couple things they’re good at and let them decide if they want to rotate the jobs or keep the same ones each week. Post a chore list or chart as a reminder. If your child does a task without being asked or does a job extra-well, you might offer a small reward, or at the very least, sincere thanks. They can: Babysit siblings and help with homework, cook dinner 1 night a week, walk family pets, or do basic car maintenance. Teens with a driver’s license can run errands like grocery shopping. Chores teach teens survival skills that will serve them well as roommates and employees. Be sure jobs don’t fall into stereotypical gender roles. Boys need to cook, iron, and do laundry. Girls should handle tools, change car oil, and do yard work. Should You Pay for Chores? 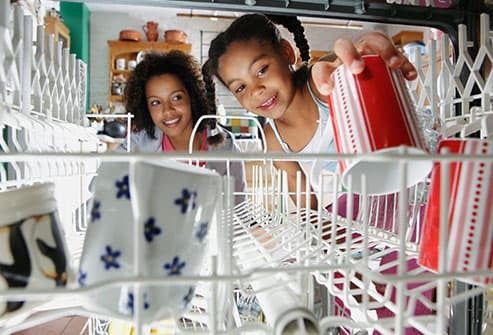 Experts say kids need to have basic duties within the family to learn a sense of responsibility. 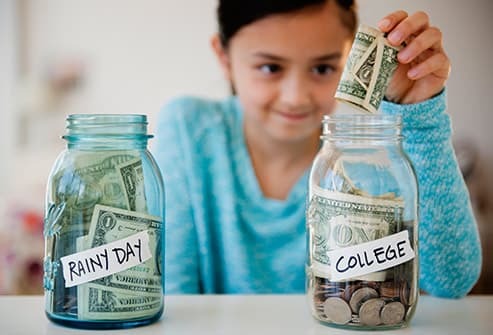 That work should be separate from a weekly allowance, which teaches them how to use money and other important skills. But that doesn’t mean they can’t work for their cash. 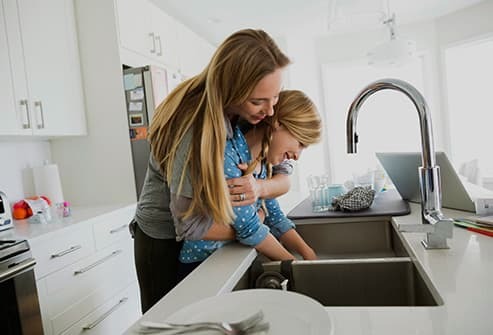 Some families divide chores into two groups: basic, unpaid, tasks that kids do as a part of the family, and extra jobs for which they can earn money. 1. Be a role model. If you don’t clean up after yourself, why should they? 2. Offer useful feedback, but don’t micromanage. 3. Keep the tasks age-appropriate. 4. Don’t badger. When you can, let the natural outcomes unfold. If your son forgets to move his favorite shirt to the dryer, it won’t be ready to wear. 5. Feel free to delay or take away privileges if the job’s not done. Lori Warner, PhD, clinical psychologist and director, Center for Human Development and Ted Lindsay Foundation HOPE Center, Beaumont Children's Hospital, Berkley, MI. Susan Smith Kuczmarski, EdD, author, Becoming A Happy Family: Pathways to the Family Soul, Book Ends Publishing, 2015. Hammond, S. Frontiers in Psychology, July 2014. American Academy of Pediatrics: "Chores and Responsibility."